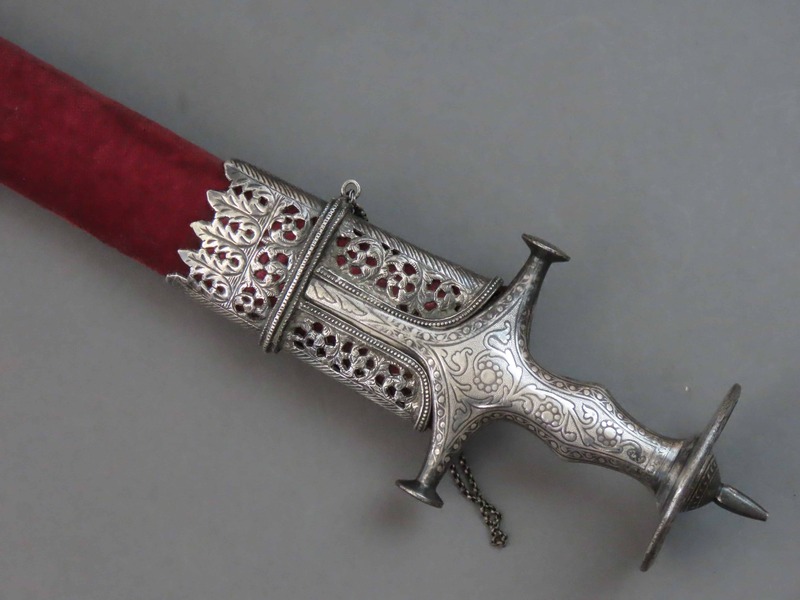 An Indian Talwar dating to the 18th or early 19th century with an iron hilt applied with silver metal koftgari and mounted with an attractive watered steel blade. The grip is of approximate diamond section and swollen in the middle. 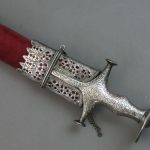 The cross guard quillons are swollen at the ends with disc-like terminals and broad langets extend down the blade either side from the base of the hilt in the usual manner. The disc-shaped pommel is decorated with a finely chiselled sunburst on top and has a long tapering tang button with a swollen dome-shaped base. 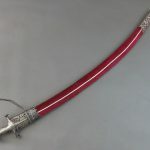 The fine quality blade is scarf welded in the Indian manner and manufactured from a dark grey wootz steel. The blade measures 33 inches (84 cm) along the cutting edge. 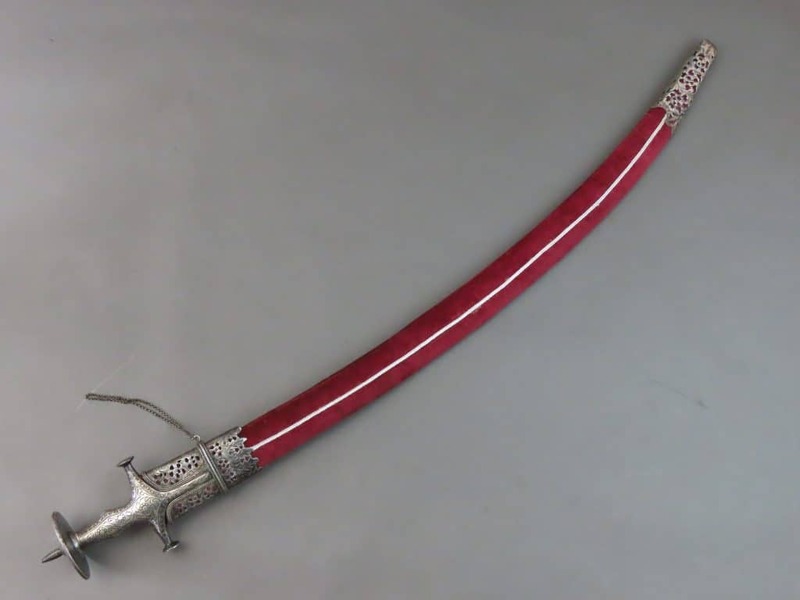 The scabbard is covered with coloured cloth and has a shaped and chiselled white metal chape and mouthpiece.